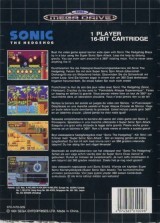 1) Cover and cartridge "Made in China", instruction booklet "Printed in Hong Kong"
2) Cover and cartridge "Made in Japan", instruction booklet "Printed in Japan"
3) Cover and cartridge "Made in Malaysia", instruction booklet "Printed in Malaysia"
4) Cover and cartridge "Made in Thailand", instruction booklet "Printed in Thailand"
Sonic The Hedgehog (Not for resale)	Contribute! 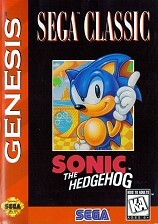 Two cover variants: one with an "Official Sega Genesis Seal of Quality" the other with "Official Sega Seal of Quality"
Sonic The Hedgehog (Sega Classic)	Contribute! 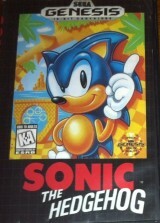 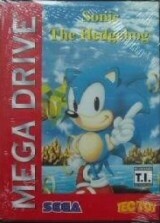 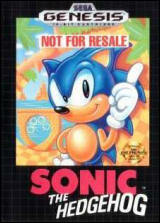 Sonic The Hedgehog (red box version)	Contribute! 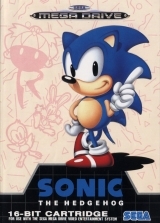 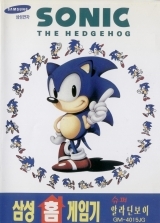 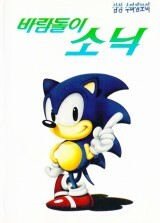 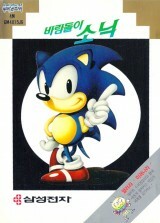 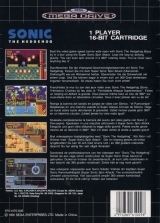 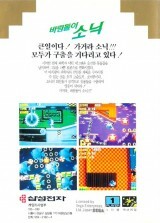 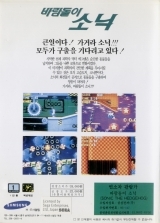 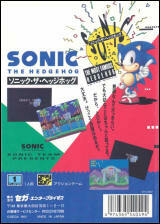 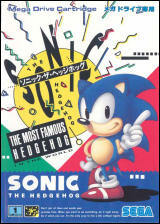 Sonic The Hedgehog (horizontal booklet)	Contribute! 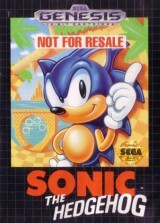 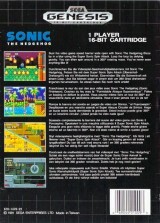 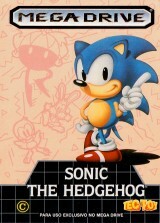 Sonic The Hedgehog (vertical booklet)	Contribute! 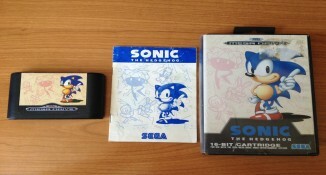 3 versions: one with a color instruction manual cover, the others with a monochrome instruction manual cover. 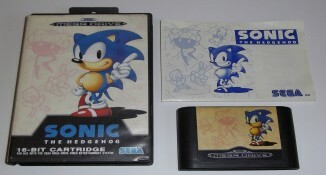 Two variations on top of the Blue Label shown right below : Gold and Silver labels. Silver Label has a full color manual. 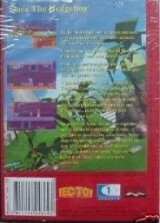 Both of these variations contains the REV 01 Rom. 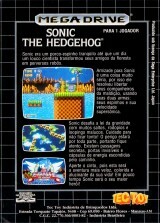 Sonic The Hedgehog (Third Release)	Contribute! 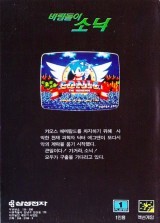 Contains a REV 00 Rom (UE). 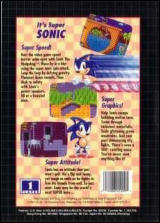 Sonic The Hedgehog (Rental version)	Contribute! A l'écran de présentation, faites , , , , +START afin de dévoiler le Level Select ainsi que le Sound Test.